Wooden Garden Buildings At Their Best ! Wooden garden buildings don't all have to look like garden sheds, why not catch all of the available sun with a wonderful Summerhouse or Gazebo? Perfect for lounging with a BBQ and a cold glass of wine or converted into an Artists Studio. If you don't have much room for larger buildings why not bring some of the outside inside with a custom built Timber Conservatory? 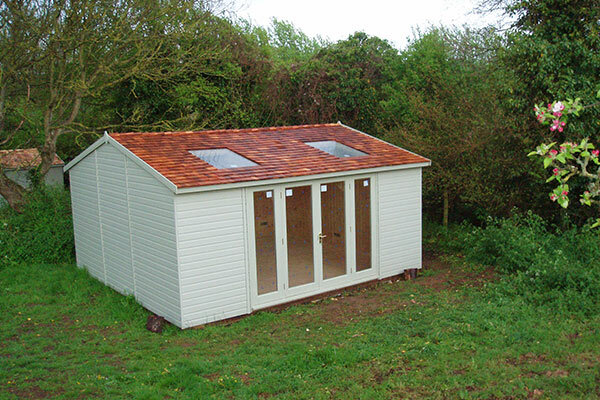 Our entire range of garden timber buildings are built to stand the test of time at prices to suit all budgets. 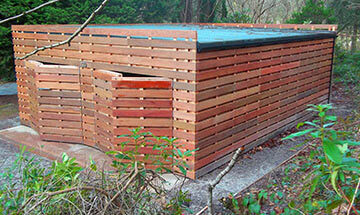 From a standard Allotment Shed to a multi purpose, Garden Tractor Store to the often forgotten Log Shed. We can provide timber buildings to exactly suit your needs at a surprisingly low price. Garden Offices for the professional with a business to run from home to the hideaway in which to pen your first novel ... and don't forget the kids .. they could be entertained for hours in one of our Playhouses, which are really sturdy and will with stand most childhood excesses whilst still being an attractive addition to the garden. 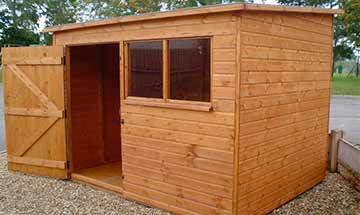 Some Manufacturers claim to offer more options for your Wooden Garden Buildings or Garden timber Sheds than any other. However, we believe, that because we build all our sectional timber buildings or 'garden houses' to order it enables us to design it precisely to your needs. Custom Built does not mean that it will be more expensive ... What you get for your money are quality buildings and customer service second to none ... so please feel free to contact one of our advisors to see what we can do for you ... today! 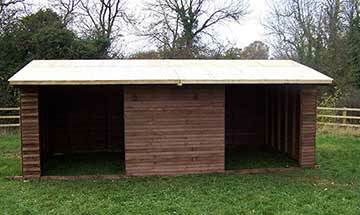 We do have various wooden buildings available that are what we term ex-display. They have been on display at various outlets around the country and have been brought back to our manufacturing facility for minor damage repairs & cleaning. ✅ Our standard ranges include Corner Units and Hexagonal buildings and our Bespoke Services even include Round Buildings.